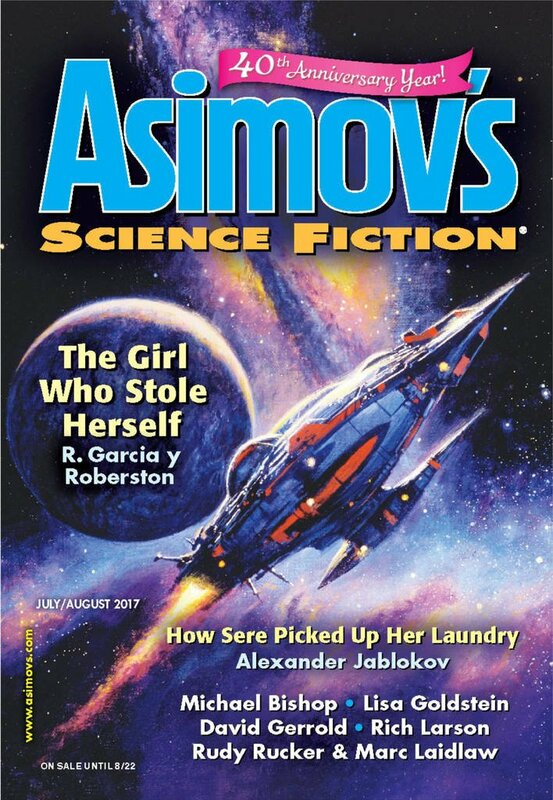 "Field Studies," by Sheila Finch [bio] (edited by Sheila Williams), appeared in Asimov's Science Fiction issue 07-08|17, published on June 15, 2017 by Penny Publications. There is no speculative content to this story whatsoever. I thought there was a very slight hint that the young man in the story was something other than an ordinary human being. That qualified it as borderline speculative fiction for me, and I gave it a recommendation in my review for Tangent. Just a matter of opinion, of course.